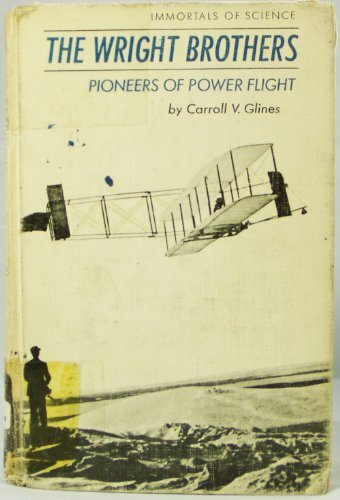 The Wright Brothers, Pioneers of Power Flight was written by Carroll V Glines. The Wright Brothers, Pioneers of Power Flight was published by Franklin. About Carroll V Glines (Author) : Carroll V Glines is a published author. Published credits of Carroll V Glines include Helicopter Rescues, The Wright brothers: pioneers of power flight, (Immortals of science).